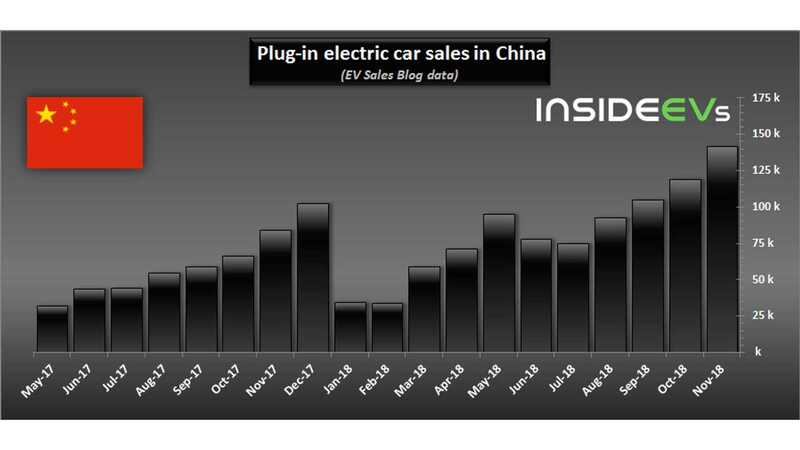 According to the EV Sales Blog, roughly 141,800 plug-in electric cars were sold in China last month, which is the highest result ever registered - 18% higher than the previous record in October. 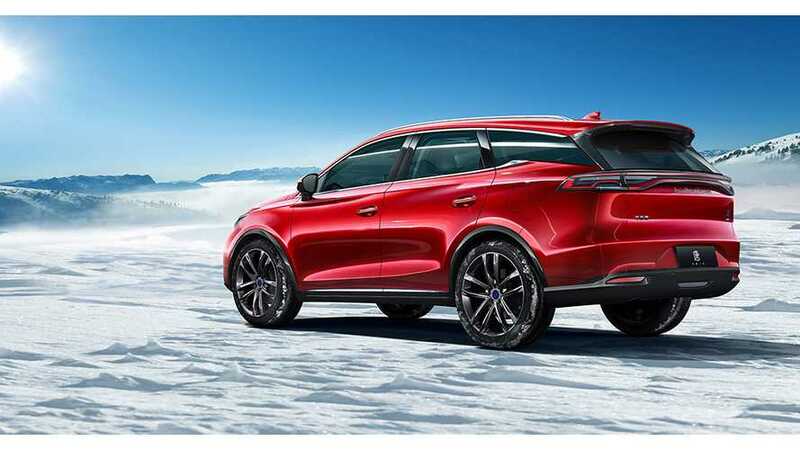 The pace of growth is remarkable - 59% year-over-year at outstanding 6.3% market share (partially because the overall market shrunk by 14% in November). 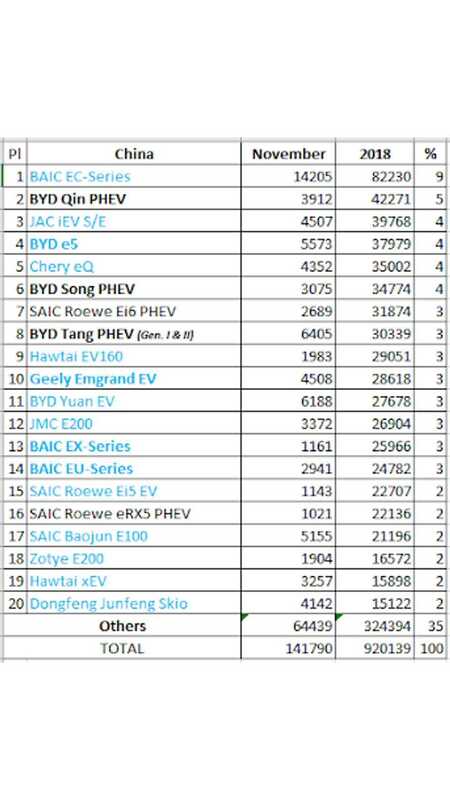 The latest update shows that more than 920,000 plug-in cars were sold in China so far this year, which with one month to go means no only exceeding 1,000,000 but maybe reaching 1,075,000.